WE CAN ACCOMMODATE 8 PASSENGERS PLUS LUGGAGE COMFORTABLY IN OUR LUXURIOUS MINIBUS THATS SEEN HERE. We are known for being honest,reliable and trustworthy, we also come highly recommended. We dont advertise, as over the past decade our regular clients have done all the advertising for us. Word of mouth and recommendations has kept us extremely busy. We have transferred many happy passengers over the years to and from all Scottish and most English Airports. Although we are based in Kirkcaldy,Fife, we are specialists at long distance private hire. We cater for everyone! Airport transfers, corporate clients, tours, day trips, nights out or whatever your requirements may be. We have a vast knowlage and experience working with and transporting unaccompanied minors and young vulnerable adults to and from the Airports. 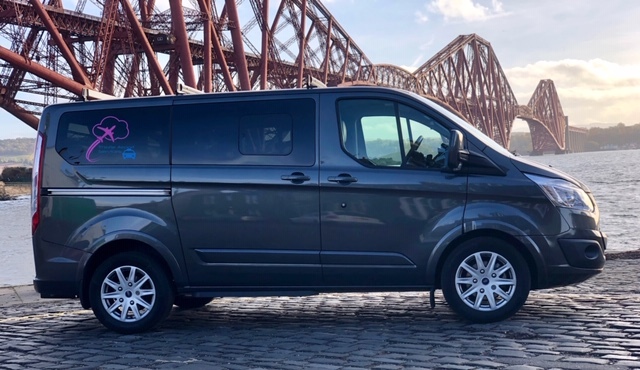 Fully Licensed with the Local Fife Council Authority, we hold all the appropriate private hire and public liability insurance. Always taking care of our customers safety seriously. Drivers are checked to be a fit and proper person to hold such a licence. We are always punctual, professional and courteous. We are so reliable and friendly that you will definitely want to book your next taxi transfer with us again. FLIGHT TRACKING - MEET & GREET SERVICE. We always ask for your return flight details once we confirm your transfer. This is because we have the latest software available to accurately monitor your flights live progress. We are always waiting for you when your flight arrives. No fuss, and no waiting around regardless should your flight be early or perhaps late subject to a long delay. We can always offer a professional Meet & Greet service at any Airport, which is a comforting thought, especially for first time visitors to Scotland’s Edinburgh Airport or Glasgow Airport as they are currently changing and expanding regularly. Unfortunately there is a £7.50 surcharge now to all our Meet & Greet services due to the increased parking fees at all Scottish Airports. Online payment system for all our local, national and international clients. We dont use a meter, we offer a competitive fare. The price quoted is the price you pay, you never pay more no matter what. Travel to the Airport in style with our top of the range vehicle at no extra cost. We regularly review our fares to ensure that they are always very competitive. 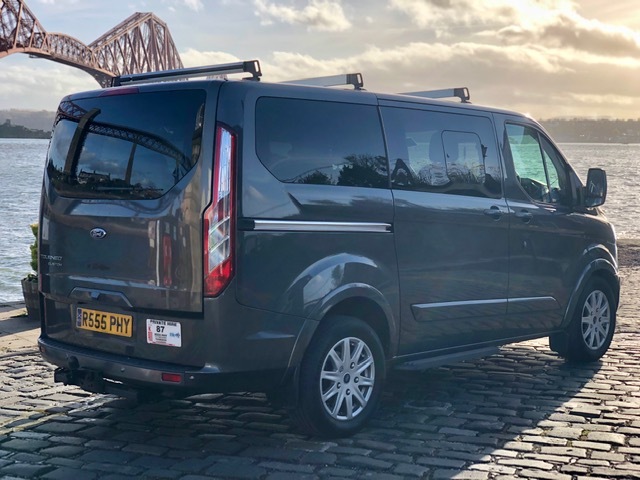 You will travel in our luxurious full leather MPV Taxi at no extra cost.To the destination of your choice feeling relaxed, happy and stress free. Having built up a fabulous and friendly reputation over the past 10 years, it has now earned us a large and loyal returning customer base that’s been recommending us to family and friends who keep coming back time again for there favourite transfer specialist. Your Taxi will always be fully air conditioned to the front and rear, we have limo black privacy glass, comfortable and spacious cream leather seating with generous leg room. We supply complimentary cooled Scottish water along with Scottish sweeties for our long distance clients. Please contact us today for a no obligation competitive quote. You honestly won’t be disappointed with our cheery friendly service. All travellers are welcome aboard with Thistle Airport Services.